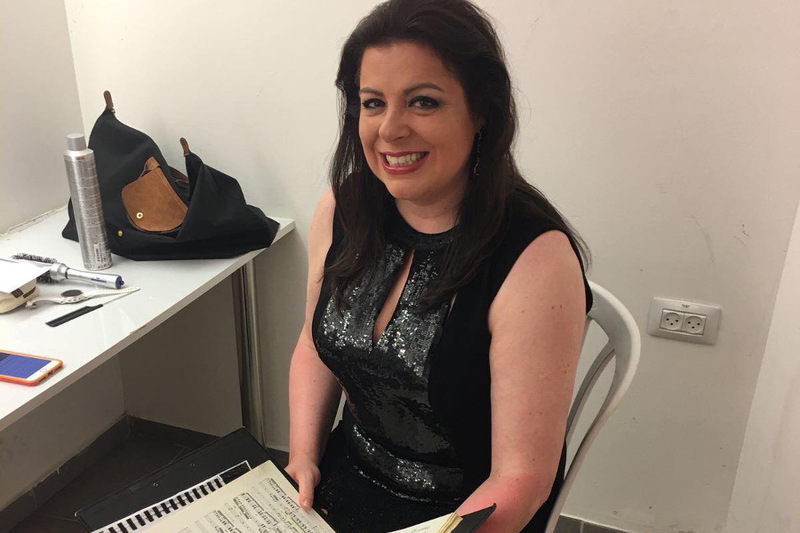 Daniela Barcellona returned to the 2018 Rossini Opera Festival to participate in the closing concert of Petite Messe Solennelle. Daniela was a participant in the early years of the Accademia Rossiniana and subsequently appeared in numerous performances at ROF in most of the iconic Rossini mezzo roles. This season marked her return after what we feel has been too long an absence. Daniela has always been a supporter of ROF and in that connection we brought you an interview with her when she agreed to be on the honorary board of the Friends of the Rossini Opera Festival. Readers of “Opera Magazine” may remember her “favorite city” profile in the September 2016 issue. Pesaro could not have asked for a better advocate. In connection with her return to ROF we asked her to share with us her thoughts related to staged vs. concert versions of operas, approaches to singing “characters” vs religious works, and how she sees this wonderful Rossini masterpiece. Daniela recorded her remarks which we bring you here. Our sincere thanks to Catherine L. Farwell who assisted with the transcription. The main difference for me between the concert version of the opera and the stage version,is that the stage version sometimes helps to express and to develop the role. If there is good scenography (not very contemporary, weird, or similar), if you have a traditional staging then you have the environment that helps to inspire you: the props that surround you, the scenery, and the things you have on stage in general. In the concert version, of course you don’t have these things, so sometimes everything is in your hands. The audience must understand what is happening through the things you; do the gestures, the expression must be more accentuated. I prefer the concert version as do most singers instead of bad scenography and bad direction (which is not appropriate, not faithful to the libretto). Such a thing is an obstacle The audience reads the words and the scenery is completely different! This is the main thing. With the concert version you are free and have the responsibility to give the audience the total character. You create your own direction, your own scenery. They are all religious pieces. The word is very important even if it is in Latin. We have to express to give to the word, the right importance. For example, Agnus Dei, the finale of Petit, is something that implores God, it comes from the soul, very intimate. In a role, you speak from a difference place. When you speak to God it comes from inside you. This is the main difference between a “character role” and the arias and duets in the Verdi Requiem, Stabat Mater, and Petite Messe Solennelle. The way to approach these things are more intimate. On Petite Messe Solennelle, in particular, and the difference between the two-piano version and the orchestral version. I think that the Petite Messe Solennelle is a very very intimate piece; it is an example of one-on-one communication between the soul and God. While, perhaps, the Verdi Requiem is something direct, a more brazen style of communication with the Divine. The Petite Messe Solennelle is something that comes from the soul, from much deeper, and therefore, in certain moments, is much more deeply moving, more intense. Perhaps, the version with the two pianos provides the possibility of offering any more nuances from the vocal point of view. The version with the orchestra, perhaps, is a bit ,how can we say, less intimate, precisely due to the presence of the orchestra and not just the two pianos. In my opinion, the audience must pay attention to this thing: that the Petite Messe Solennelle is coming from the soul, speaking to the soul. It has to do with meditation. The Finale with the Agnus Dei (Lamb of God prayer of supplication) is something deeply moving and passionate. It truly gives the idea of imploration : “ Lamb of God – you take away the sins of the world…grant us peace: please give us peace!” This is an imploring prayer to God and at the end of this (work) is very very powerful. And in fact for me it’s something that gives me also many many emotions, but as a singer I have to give my emotion to the audience and I keep my fingers crossed that I am able to ensure that this happens. It will be a big pleasure, because many of my fans, friends,fans of Rossini, of the Rossini Opera Festival, people who follow me all over the world will be there. I feel their “nearness” via Facebook, Twitter, and Instagram . I am so happy to meet them again and we have appointments to be together again. Finally, I am happy to be part of this 150 anniversary commemoration with Petite Messe Solennelle closing this edition of the Rossini Opera Festival. We thank Daniela for sharing these thoughts with us. After her performance in Pesaro, Daniela and her husband, Alessandro Vitielo will travel to Lunenburg Canada where they will be residents again this year at the Rossini Opera Academy. They continue the tradition of “authentic Rossini training and performance” established by the legendary Alberto Zedda who was at the Academy from its inception until his untimely passing.